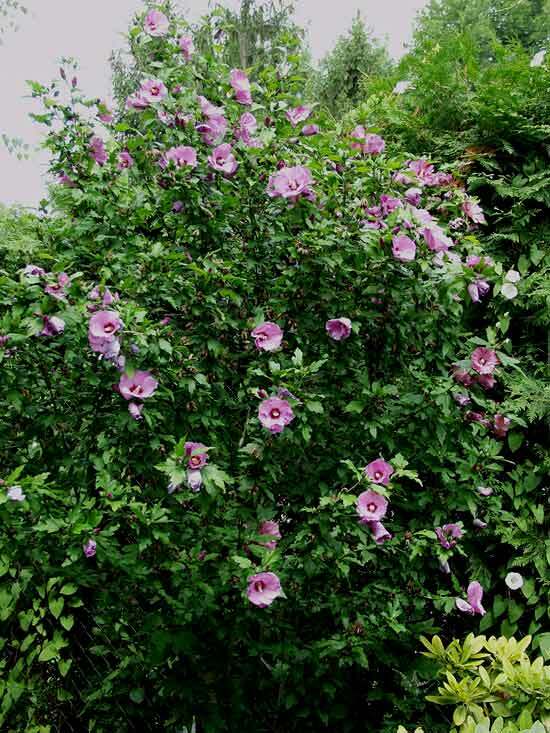 Despite the ‘Rose of Sharon’s,‘ grand, popular names, ‘the immortal flower’ and ‘everlasting flower,’ I always have a slight loathing when I see one, which is everyday as one grows right outside my one-room. My loathing is totally unfounded. 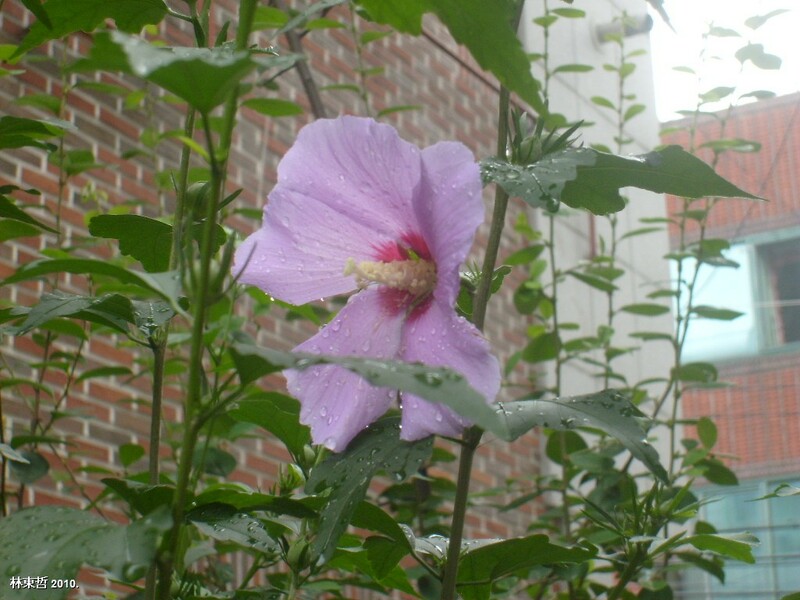 Korea’s national flower, ‘the Rose of Sharon‘ (Hibiscus syriacus), comes from a deciduous shrub the flower of which bears a striking resemblance to that of the tree mallow ( Lavatera arborea or Malva dendromorpha) which is native to much of Europe. 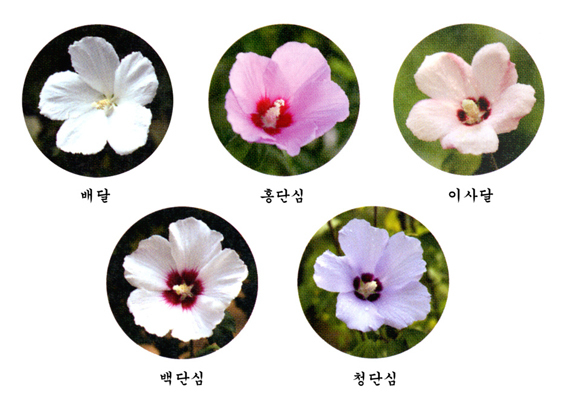 National flower of Korea (무궁화) 'Rose of Sharon.' This was actually the first flower of the year on this plant (July 5th 2010). Both plants are shrubs and have soft pink flowers of the same size set in a five petal arrangement. 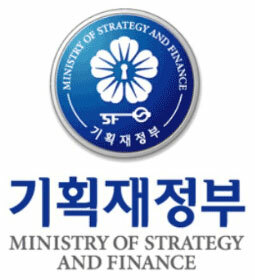 The five petals are significant in terms of the ‘Rose of Sharon’ as they symbolise Korea and appear in numerous official and unofficial emblems. The Korean name for the flower, mu-gung-hwa (무궁화), combines two words, ‘mu-gung’ (무궁) meaning ‘immortal’ or ‘everlasting,’ and ‘hwa’ (화) meaning ‘flower.’ It really is the case that the flower is long lasting and the same flowers will bloom all summer and into autumn, closing every evening and bursting back into flower as the sun rises. 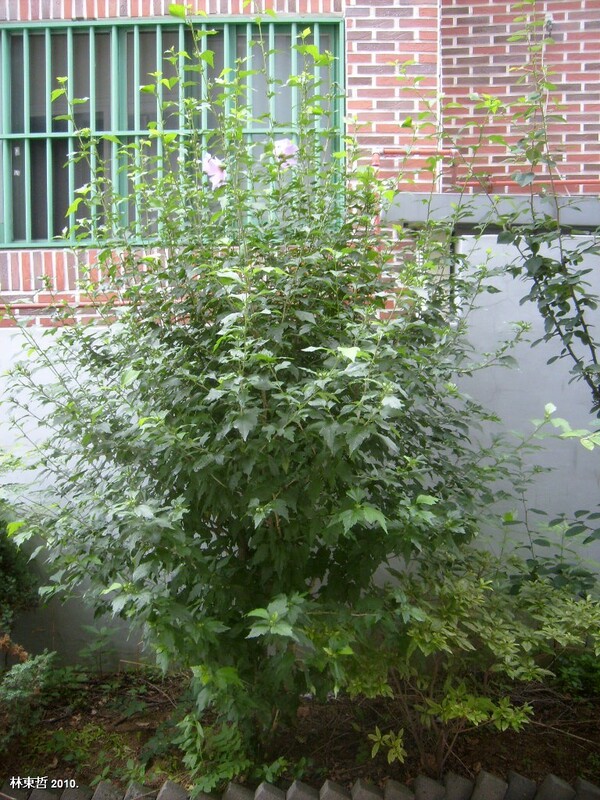 The ‘Rose of Sharon,’ associates the plant with Syria, where it supposedly originated but personally, I prefer the Korean name as it reminds one of the tenacity which is reflected in so many aspects of Korean culture and landcape. ‘Tenacity,’ is both one of the tenets of ITF (International Taekwon-do Federation) and WTF (World Taekwondo Federation) taekwondo, and a theme in my post on the wood carvings I photographed in Pal-gong-san National Park, Daegu. Historically, The flower was first cited in Korean text around 1400 years ago and hence has a long standing historical tradition making it ideal for its reference in the Korean National Anthem. 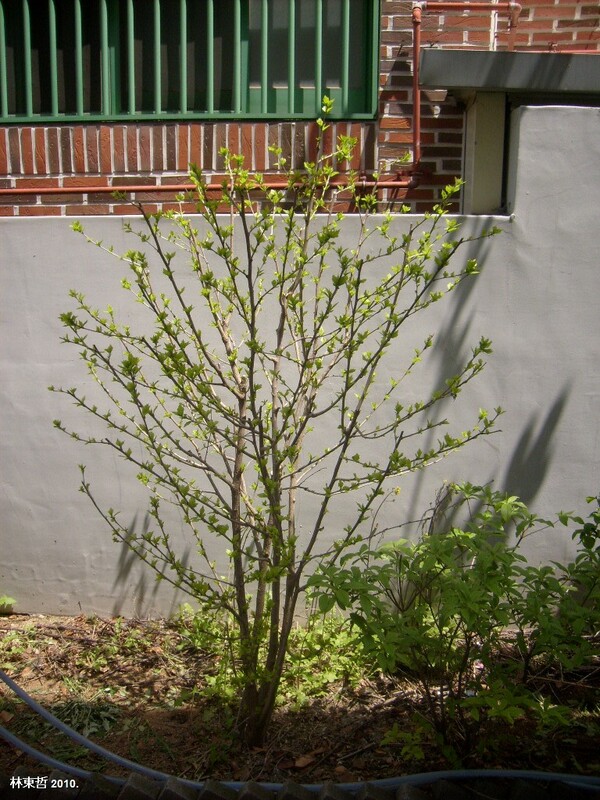 I watched the mu-gung-hwa outside my one-room all year, from the appearance of the first buds until mid-August, when some blight shriveled the leaves and killed the flowers. Given its association with ‘immortality,’ this was a disappointment serving to remind me of the realities of life. And why do I have an irrational loathing for the mu-gung-hwa? 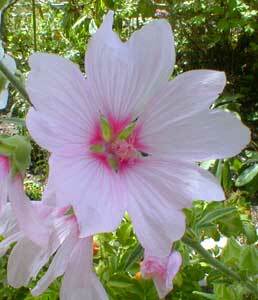 Because it so closely resembles the tree mallow which is a prolific shrub especially in coastal regions of Southern England. 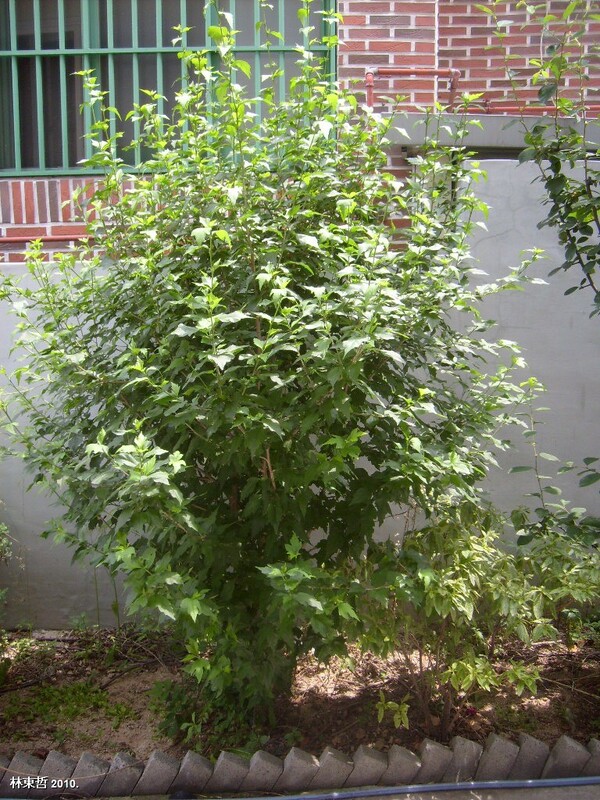 Several years ago, a friend gave me a small cutting which I planted in my front garden and within three years it had grown into a large shrub, blocking the light in my front window and necessitating constant pruning. No matter how vigorously you prune it to the ground, it springs back in mockery and within weeks needs to be re-attacked. The mugunghwa-ho (무궁화호), is the cheapest type of Korean train service and is often the only service on some lines.